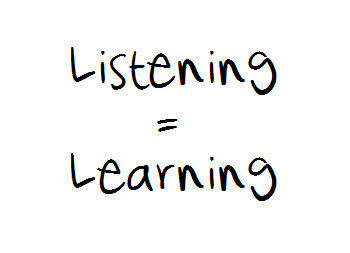 Some of the most successful relationships whether in business or personal life, involve the art of listening. All too often we have a tendency to have conversations with people without really taking the time to listen to what the other person is saying. Sometimes people will ‘cherry pick’ what they want to hear. Others may listen with the intent of chiming in their own opinions. Other times people look like they are listening but their mind is somewhere else completely. At the end of the conversation they find themself saying, “When did you tell me that?” With the other person realizing they were not listening to them all along. When it comes to effective communication it has more to do with listening than it does with what you say or how you say it. 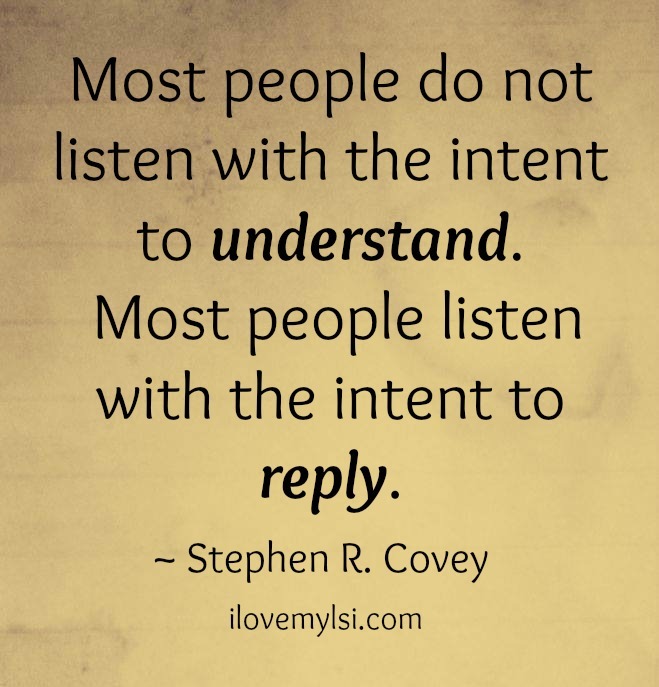 Listening is perhaps the most important tool in communication. When you don’t receive all the information clearly from the other person it can lead to misunderstandings that can cause frustration from the other person. In the world of business the ability to listen carefully is so important for minimizing errors and thus improving productivity. Listening to others requires the act of focus and concentration. It’s not just a matter of hearing the sound of that person’s voice but it is actively taking in each word that is spoken. In today’s society we spend so much time using digital forms of communication that truly listening has become a lost art. Being a good listener involves a number of things. The following are 5 tips to becoming a better more effective listener. No matter what take a moment and just keep your mouth shut while this person speaks. In so many cases when you are listening to someone tell a story it’s natural to have anxiety where you can’t wait to say what YOU want to say. So much to the point that often you stop listening and are focused on when there will be a break so you can speak. Many times people interrupt the other person because they just can’t wait for them to finish. Make a point to stop talking. Let the other person speak. You will get your turn. Just be patient. Make the extra effort to focus on what the other person is saying. Stop texting, whatsapp-ing or posting your Facebook status on your mobile device. Better yet, put your device down altogether when you are listening to the other person speaking. Also remove other distractions like the television, radio or maybe something you were in the middle of doing. Focus all your attention on the person speaking so you can actively listen and understand all that he or she is saying. This is what’s missing when we communicate through emails, text, BBM and other forms of digital communication. Tone of voice can tell a lot about what the person is trying to convey. Listen to it and try your best to understand and empathize with the person. Pay attention to the person’s body language when they are speaking to you. It can reveal so much about what they are trying to communicate. Also remember that at times people can be nervous and just have mannerisms that can easily distract you. Recognize that and don’t let it be a distraction from what they are trying to tell you. Wait and let the other person finish speaking before you interject. Allow for a pause so that you are sure they have finished what they are saying. Follow these steps and within time you’ll find you’re a better listener which in turn will make you a better communicator, more productive and be able to accomplish tasks with fewer errors.